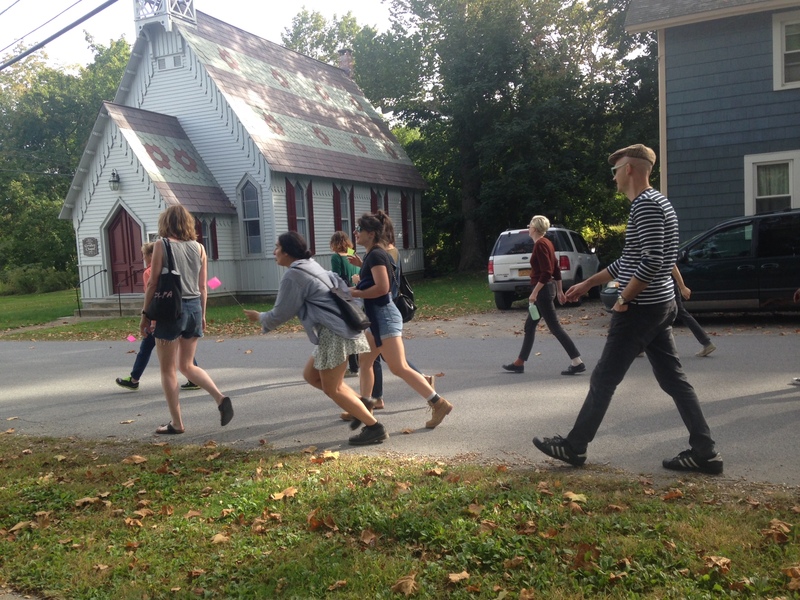 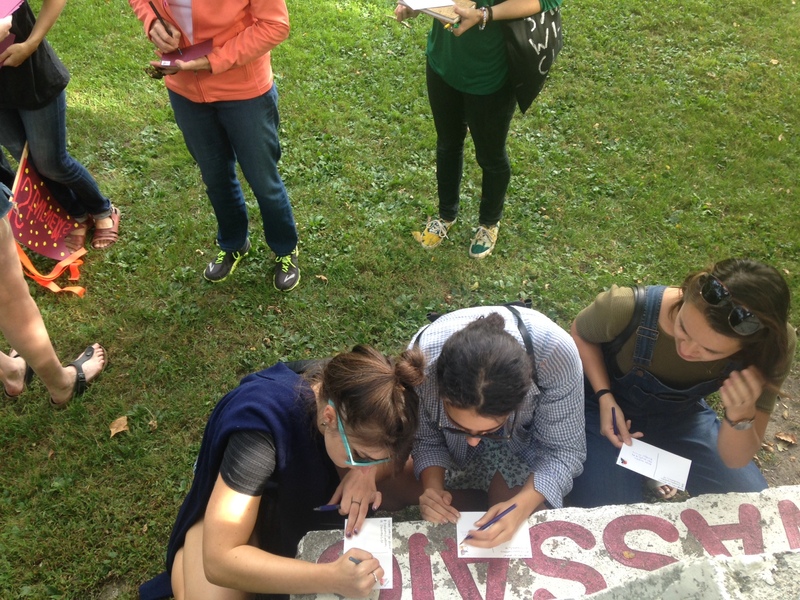 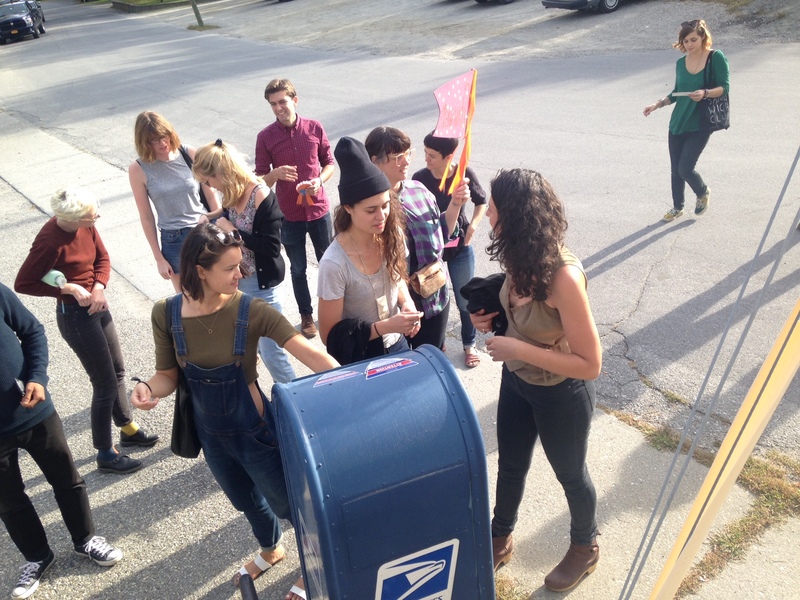 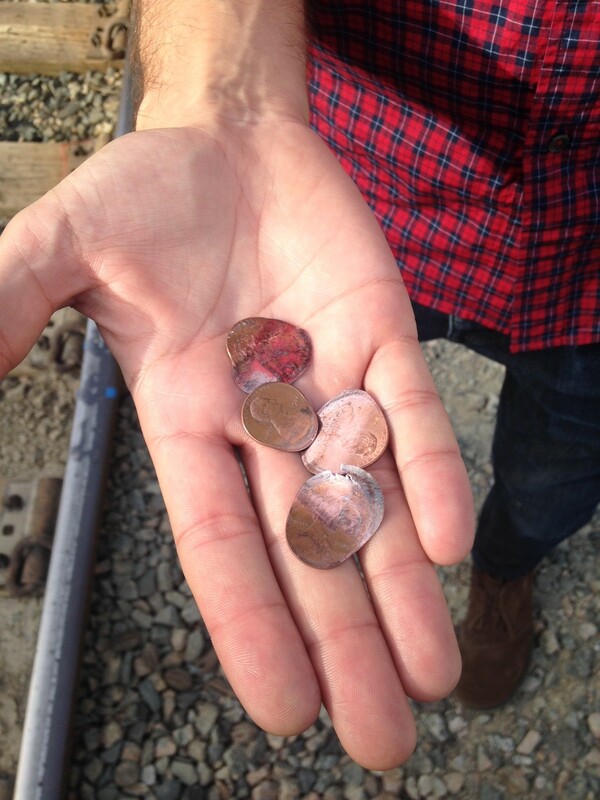 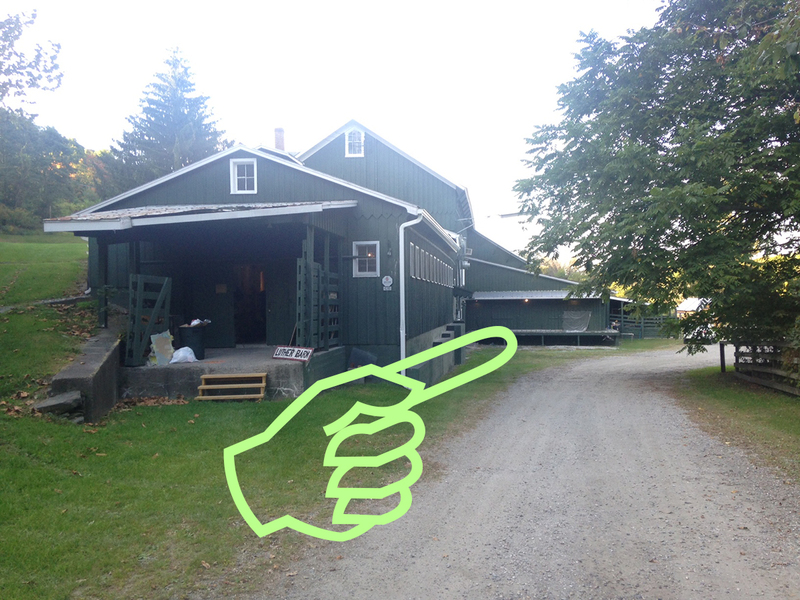 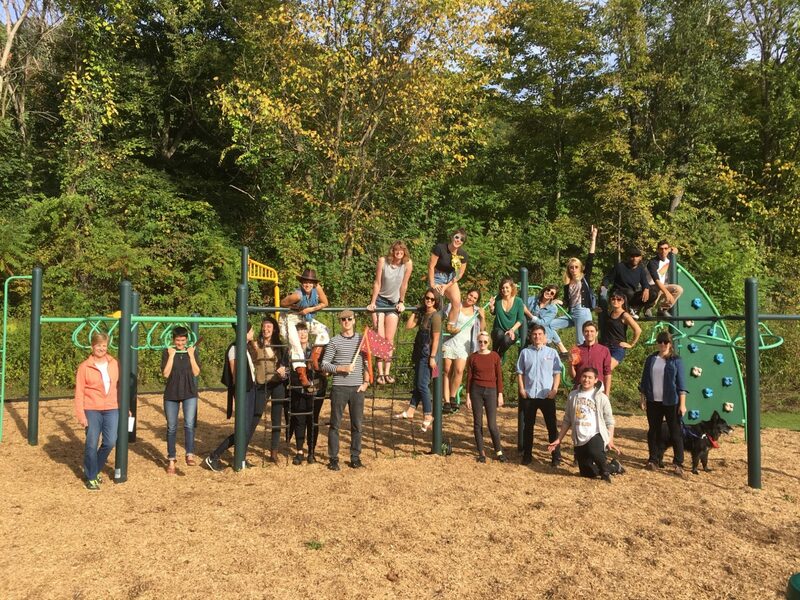 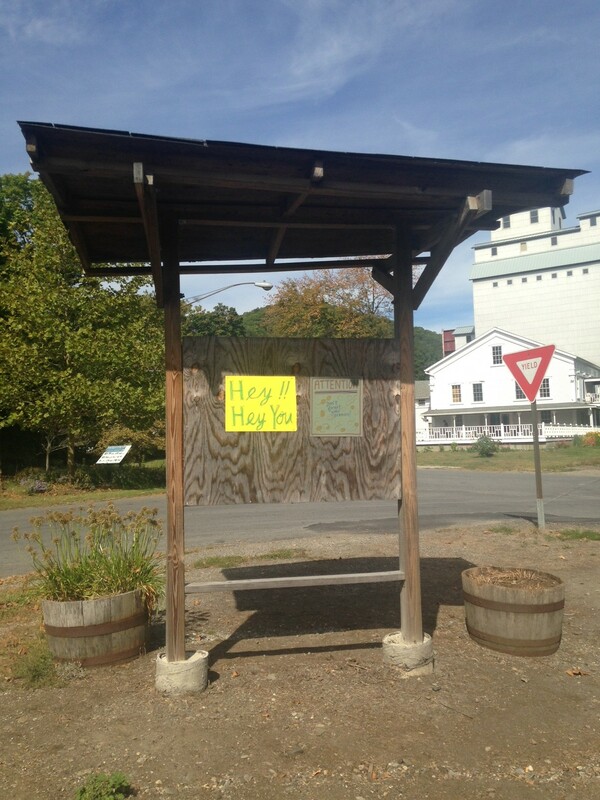 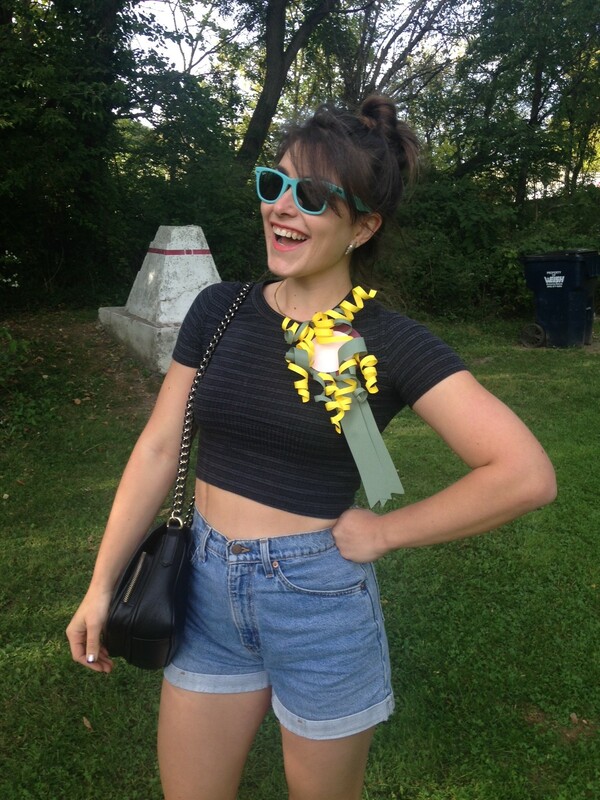 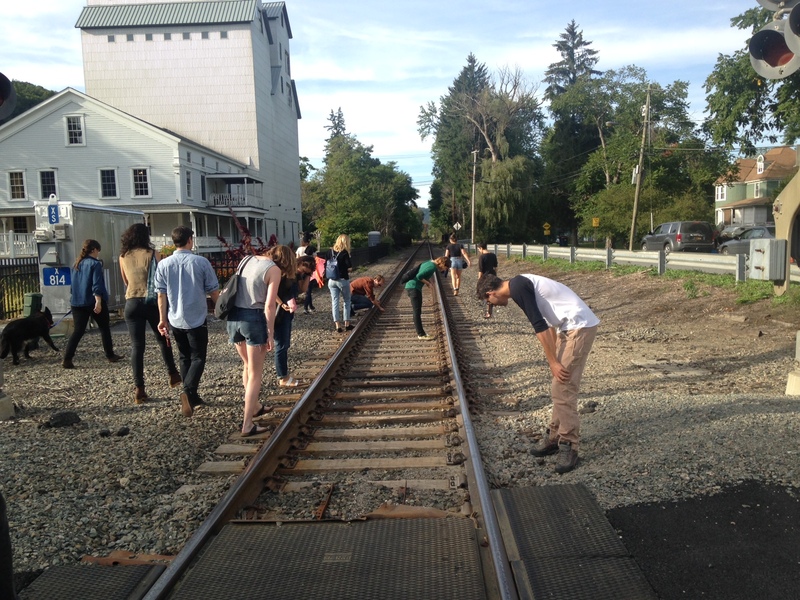 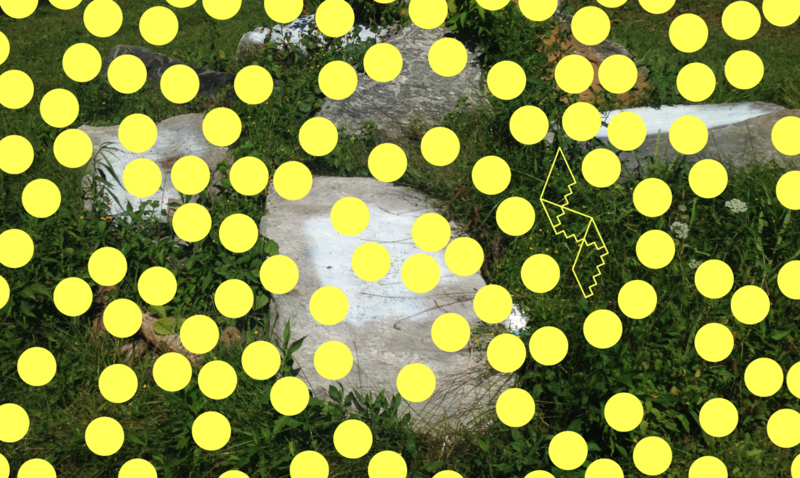 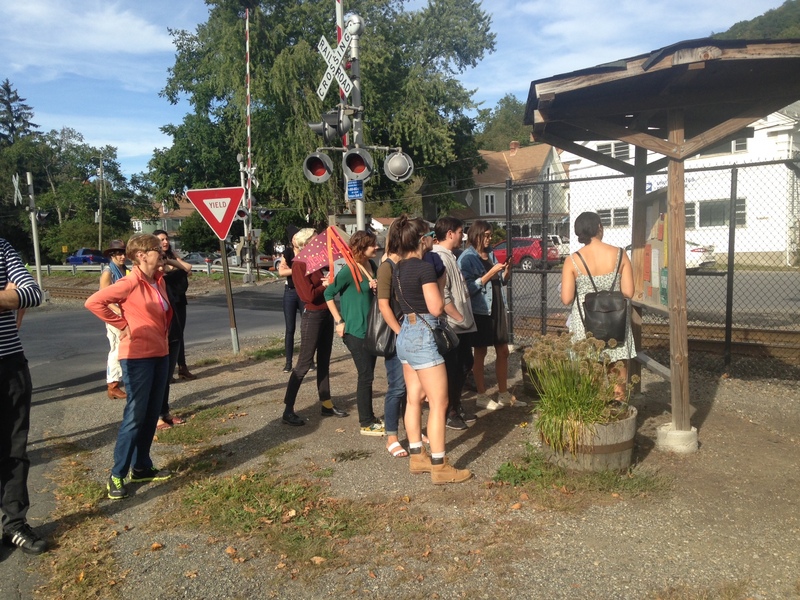 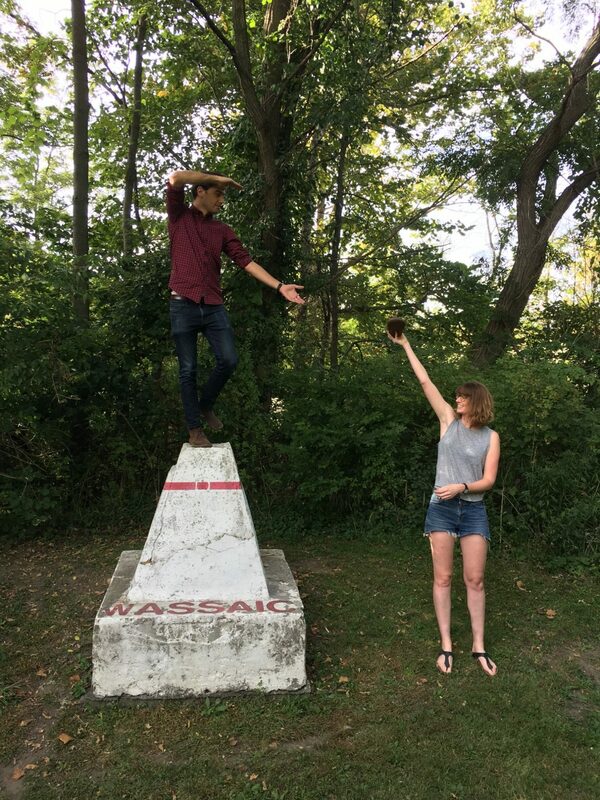 Our final public event during our residency at the Wassaic Project was an hour-long interactive artist-led walking tour. 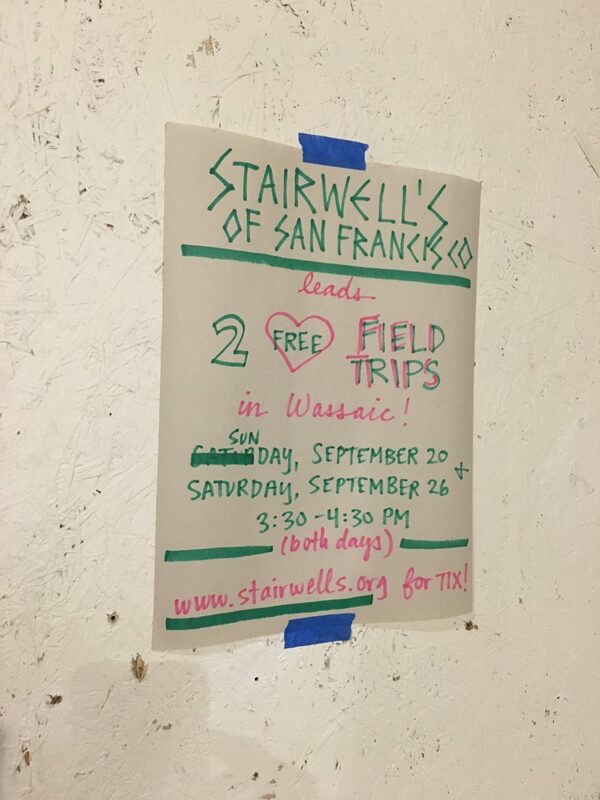 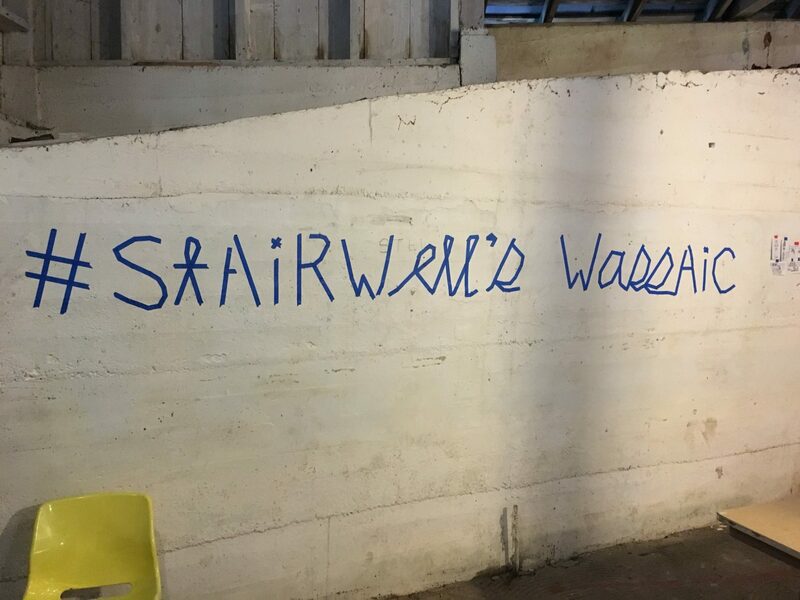 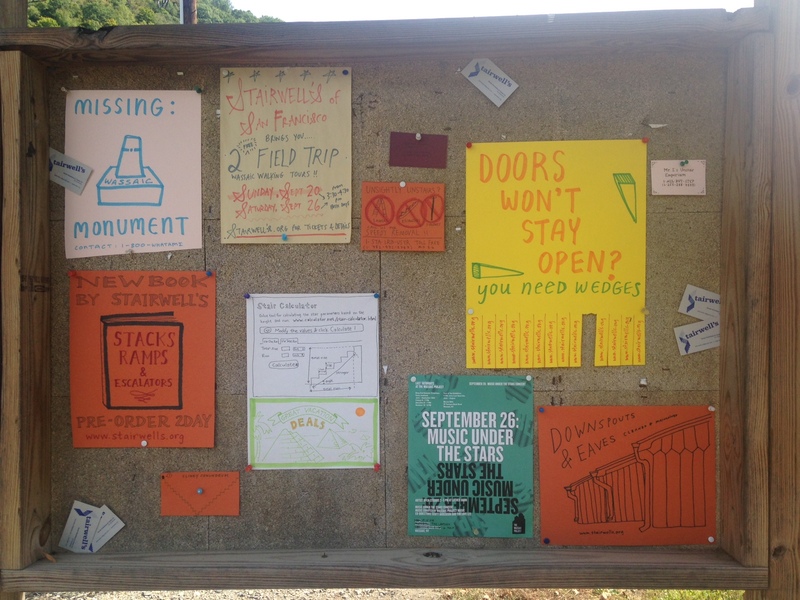 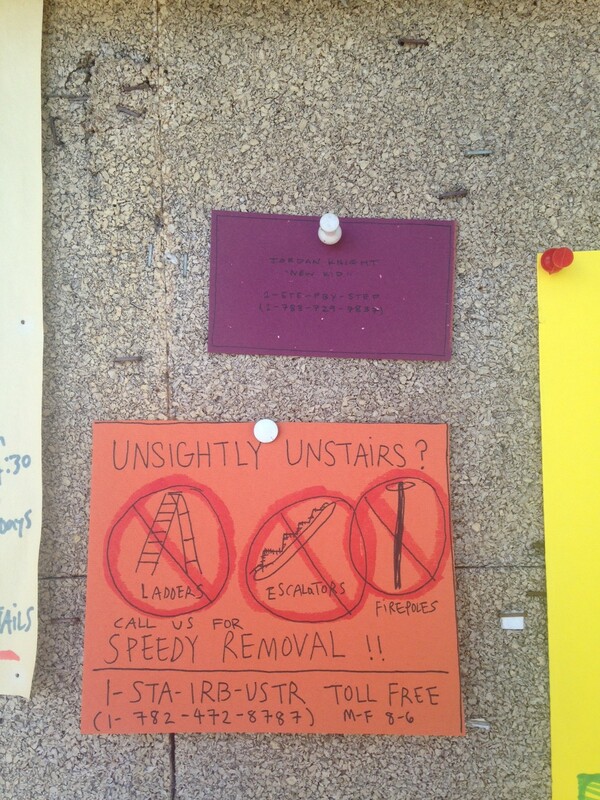 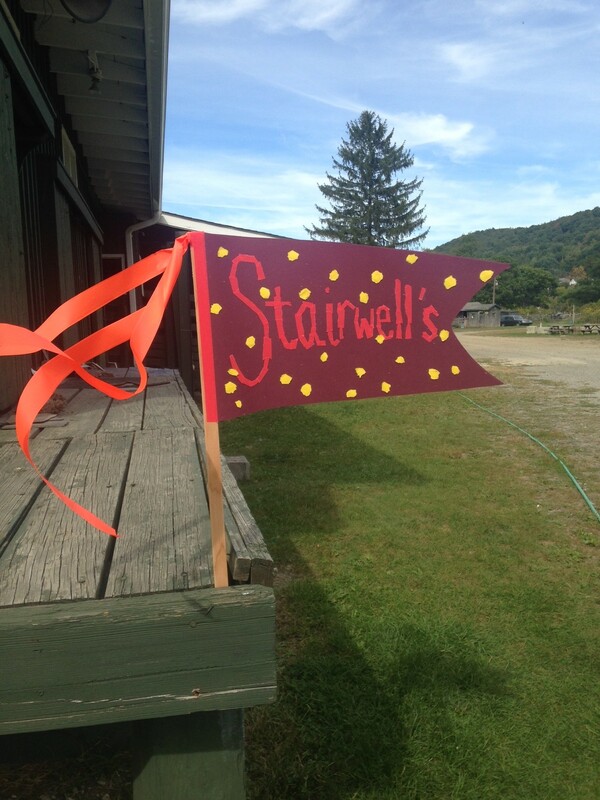 After exploring interior stairways and architectural elements of residency’s main studio building, we flagged stairs and “unstairs” in the hamlet, reimagined a community message board, used a fence to dictate movement and designed different monuments to Wassaic. 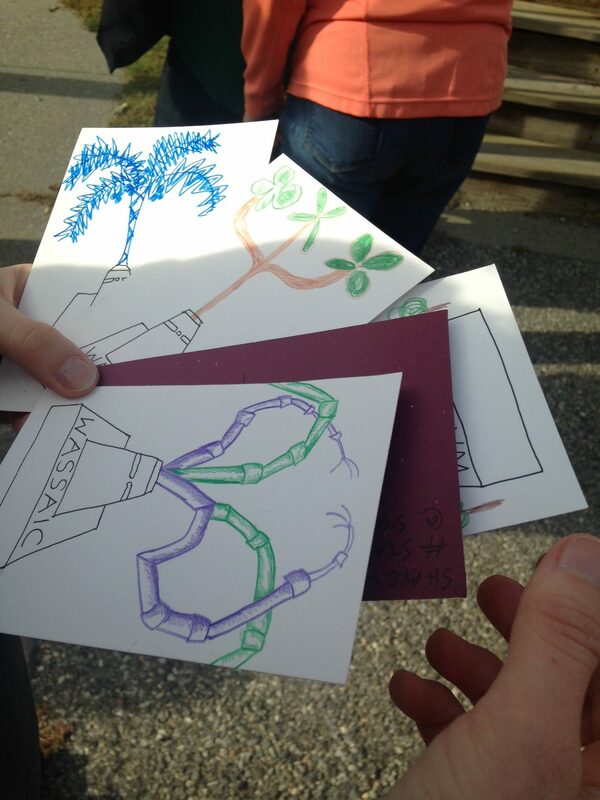 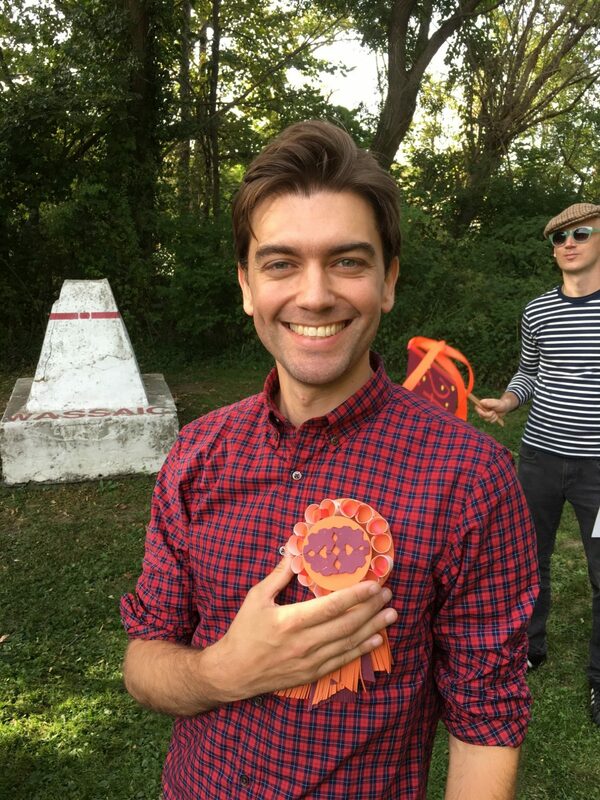 These imaginary monuments were then sent to Field Trip participants by postcard, with each person receiving someone else’s drawing, days after the event.